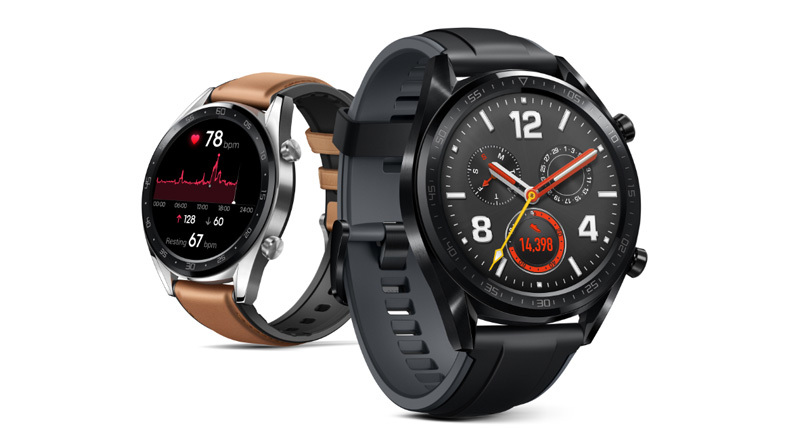 LONDON, United Kingdom—October 16, 2018—Huawei Consumer Business Group (BG) today announced two new wearables: HUAWEI WATCH GT and HUAWEI Band 3 Pro. 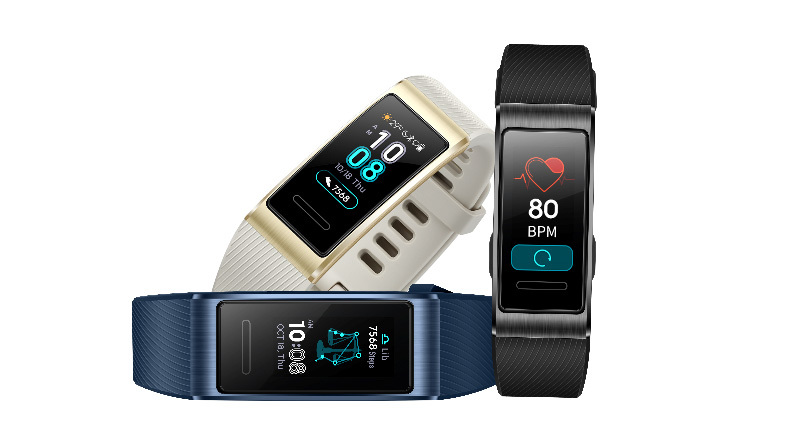 Launched alongside the flagship HUAWEI Mate 20 Series, the new wearables offer novel and sophisticated ways for consumers to track their activities and receive fitness coaching that is based on scientific research. The HUAWEI WATCH GT uses an innovative smart power-saving algorithm that enables it to dynamically switch between performance and efficiency modes, depending on user activity, for maximum battery life. This allows the smart watch to stay powered for up to two weeks for frequent use mode1 . Furthermore, the dual-core architecture of the HUAWEI WATCH GT lets the wearable user enjoy the best of both worlds—it is simultaneously a powerful and highly efficient smart watch. Besides improved performance and new features, the HUAWEI WATCH GT also sports a unique design. The 1.39-inch 454 x 254 AMOLED high resolution display presents information cleanly on the wrist. The smart watch body incorporates a dual-crown design with stainless steel and ceramic bezels, and is treated with a DLC diamond carbon coating to provide users with durability that will last for decades. The 10.6 mm case body is compatible with two band options—a dual-color silicone band and an elegant leather-rubber band—giving users more choices to customize their HUAWEI WATCH GT for any occasion. In addition to the ultra-long battery life, the HUAWEI WATCH GT features industry-leading positioning capabilities. The smart watch can simultaneously tap into GPS, GLONASS and GALILEO, three of the major satellite positioning systems, for precise positioning. A tracking algorithm then optimizes the tracking data to achieve one-to-one positioning even in areas with numerous disparate signals. The TruSeen™ 3.0 heart rate monitoring technology tracks the user’s active and resting heart rate. Combining innovative PPG optical and hardware design and AI algorithms, the solution can monitor the heart rate of users in real time with high precision. In Sport mode, the HUAWEI WATCH GT can be set up to notify users to adjust the intensity of their workout based on a pre-set target heart rate interval. In Rest mode, the smart watch automatically monitors and records the resting heart rate of users. The HUAWEI WATCH GT uses invisible lights to monitor the user's heart rate during sleep, which is more intimate than other traditional methods. With HUAWEI TruSeen™3.0, HUAWEI Band 3 Pro accurately monitors the heart rate of a user throughout the day. Huawei also pioneered the use of IR (infrared) sensors to accurately track the user heart rate without using the obtrusive lights of conventional trackers. Leveraging the same technology powering TruSeen™ 3.0, HUAWEI Band 3 Pro can also track sleep patterns with HUAWEI TruSleep™2.0. Moreover, the solution uses big data analysis to provide personalized services and suggestions to improve sleep quality. All of the aforementioned technologies were developed by Huawei in collaboration with authoritative organizations around the world, ensuring that the wearables are highly functional and professional.